This is an unplanned follow up to a previous post, if you’d like to catch up. Yesterday I had to make a return trip to the dentist’s office to replace a filling that decided to make a run for it. When I was first laying in the dental chair and formulating this post in my head, I thought for sure the topic at hand would be the anesthetic, the puffy tongue and jaw, and the fact that I said a very bad word in my heart when they jabbed that needle into my gums. I’m a fainter. I’m not proud of that fact, but it’s true. I faint when pain hits me, when pain hits other people, when I think about pain hitting other people or maybe me, and occasionally during particularly gruesome episodes of ER. But there’s no time where I’m more likely to faint than when someone comes at me with a needle. Sure enough, on Wednesday – had I been sitting up during the shot – I would have hit the floor. 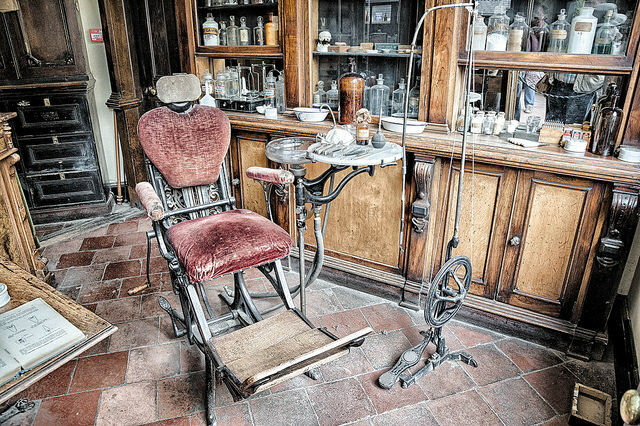 But I was already flat on the dental chair, and even though I broke out in a cold sweat and thought I was going to see Jesus any moment, I remained concious. So I walked out to the parking lot, pulled out the celly, and dialed the house. She answered. that moath exthellent funny story. Way to go Merriem! Your famous now…I read this to people at work and told friends last night after the Believe celebration meeting. You may have lots more people checking out the blog now after I bragged about how funny and wonderful your blogs are! Ainsley, I appreciate all the publicity you give! I laughed my head off…. good medicine…thanks.